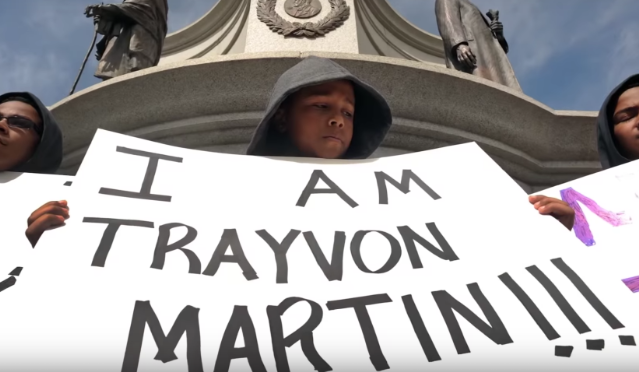 The first full-length trailer for Paramount Network’s upcoming Trayvon Martin docuseries, produced by Jay-Z, is here. Rest in Power: The Trayvon Martin Story features six installments and is scheduled to premiere on July 30. The clip features interviews with Martin’s parents, surveillance footage from the night of Martin’s murder, and an appearance by Carmelo Anthony. A teaser for the series was released in February. Jay-Z previously produced a miniseries about Kalief Browder for Paramount (then Spike TV) in 2017. That series was a co-production with Harvey Weinstein, who was also originally slated to produce Rest in Power. All Weinstein-Company-related credits were removed from the Martin series following the sexual assault allegations made against Weinstein last year. Watch the trailer for Rest in Power below.